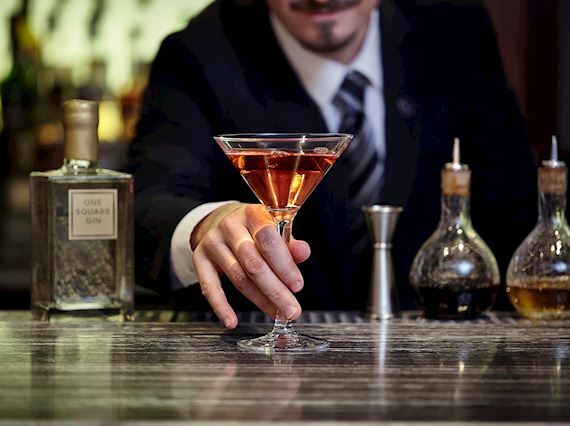 At One Square, we appreciate that the difference between a good bar and a great one is all in the details. From the Scottish Ionian marble on the bar to over 100 different varieties of gin proudly positioned behind it, we have spent considerable time perfecting the finer points. The same can be said of our cocktails, with a real emphasis on premium ingredients, well-crafted and served with style. Home to a seasonal selection of signature creations, as well as our ever-popular Inverurie burger and Fish & Chips. 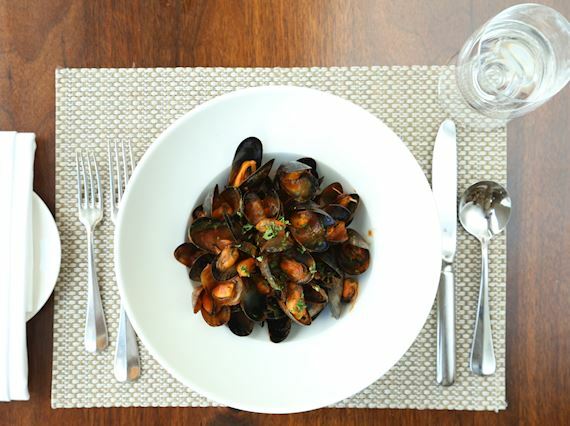 It's no secret that Scottish seafood and beef is some of the world's best, and we work with leading local suppliers to ensure that our produce is fresh, traceable, and above all, delicious. The perfect pick-me-up whether for a break between shops or an indulgent few hours with your best friends. 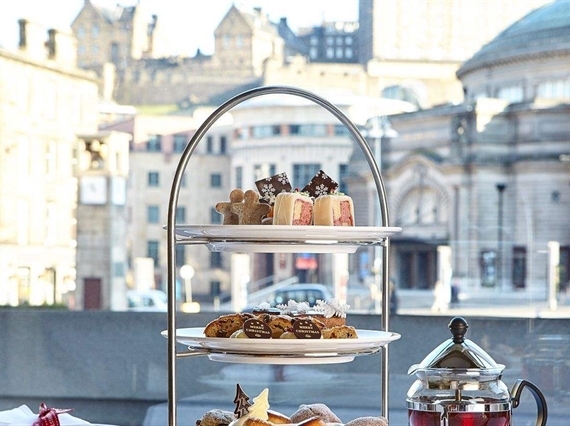 The relaxed surroundings of One Square coupled with large picture windows providing views across Festival Square to the iconic Edinburgh Castle, there could be no finer spot in which to enjoy Afternoon Tea. Choose from our many fine enveloped teas, or speciality loose-leaf varieties, brewed at your table. Like the changing seasons our Afternoon Tea theme also changes bringing you new and innovative offerings. Starting with a traditional recipe, we got our heads together with our friends at Pickering's Gin and selected over 15 botanicals from across the world. After all, Edinburgh, and in particular the port of Leith, has a long and rich history of global trade, so we thought it only right that this should be reflected in the end product. The result is a truly globetrotting gin, hand-made with only the finest natural ingredients. Mediterranean liquorice and orris root add a heady kick, while juniper and fragrant Scottish heather are harvested much closer to home. Notes of lemon, lime and anise are combined to create a citrusy, easy-drinking gin that refreshes and invigorates in equal measure.